Last night I had another random Tokyo experience. 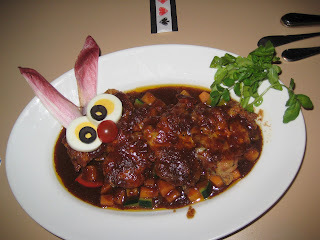 I went to 'Fantasy Dining', an Alice in Wonderland themed restaurant in Ginza. 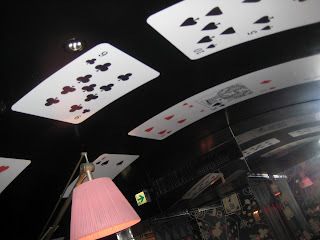 It was fully kitted out with playing card tables, Alice-clothed waitresses and teacups hanging from the ceiling. We were mightily impressed when we were taken to our table which was inside a massive teacup - how fab! 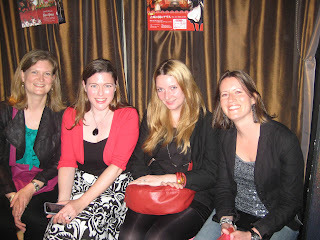 Waiting to be seated in the 'swathed' waiting area. 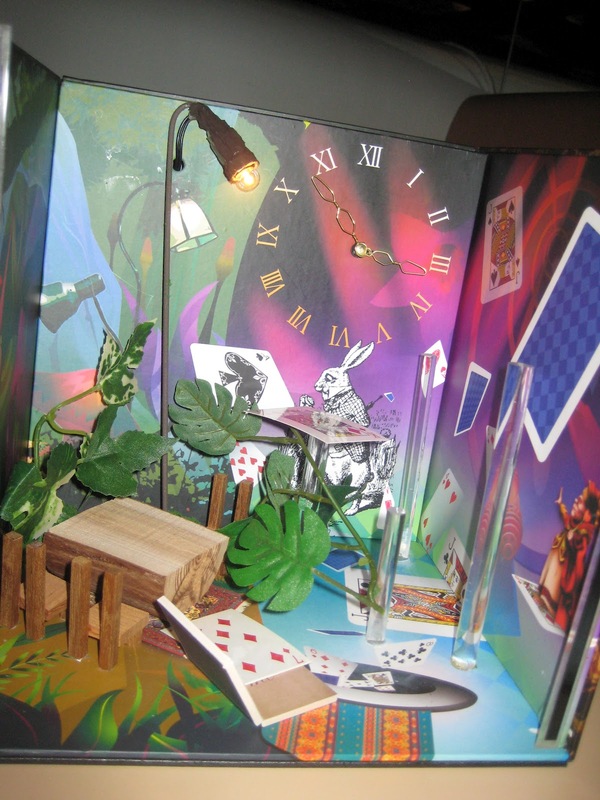 The menu was brought to us in a mini Alice-inspired diorama. 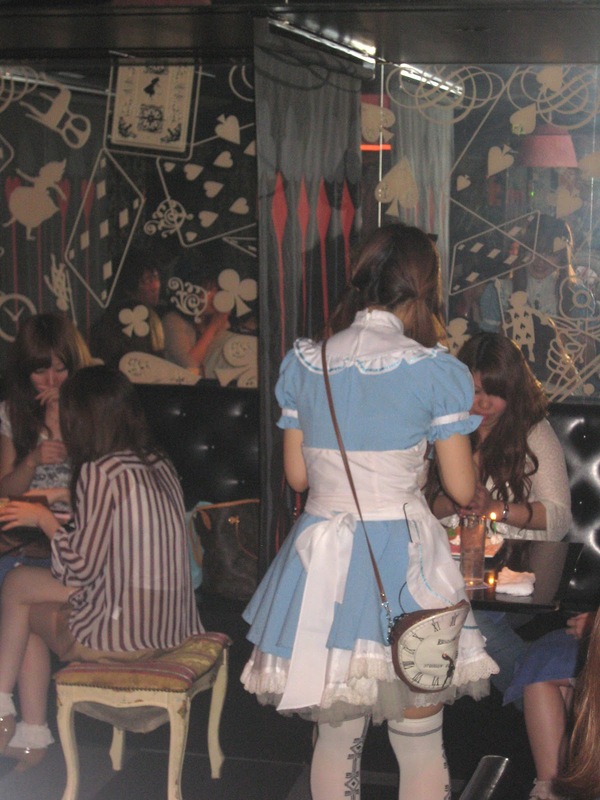 The waitresses wore mini Alice dresses and had clock-shaped bags. 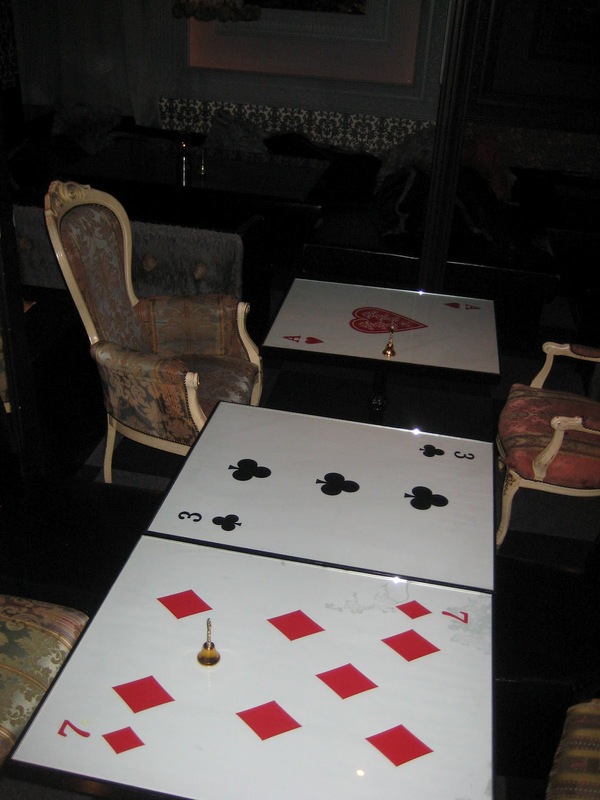 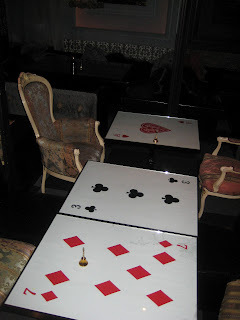 The tables were made out of massive playing cards. Playing cards also decorated the ceiling. 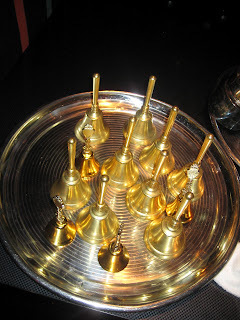 Each table had a little bell to summon the waitress. 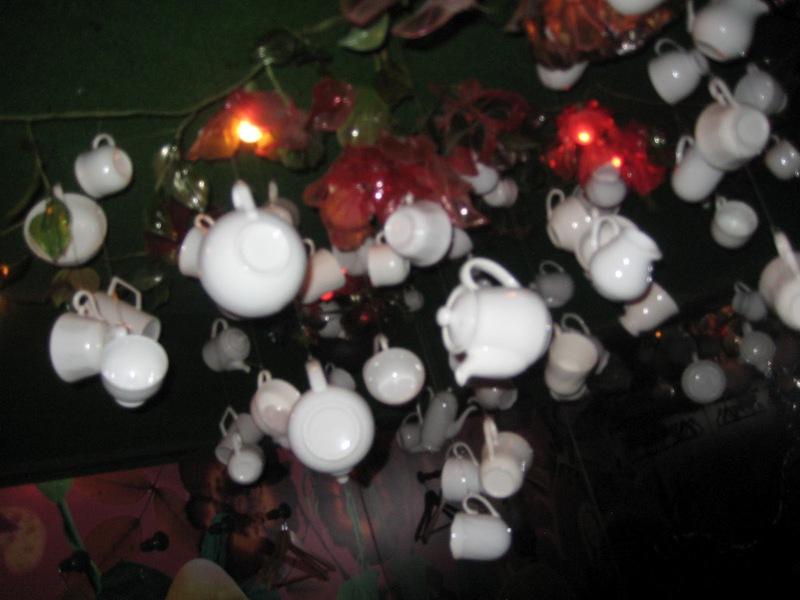 One of the private rooms had an array of teapots and teacups suspended from the ceiling. 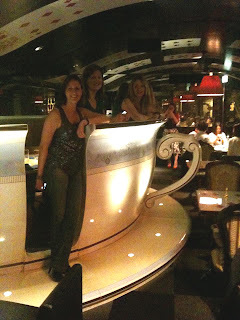 Our own private teacup booth!